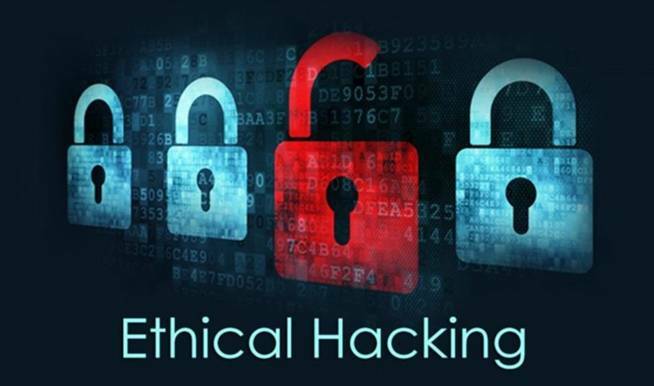 Ethical hacking is a legal form of hacking, with which you can find errors in foreign systems and draw the attention of developers to them. This is done by white hackers (White Hats). They are opposed by other hackers (Black Hats) – criminals who use their knowledge with malicious intent. If the former are looking for vulnerabilities in order to patch a security breach, the latter seek to hack it in order to compromise. The most popular form of ethical hacking is the Bug Bounty reward program. They are more than twenty years old. These services will allow companies to timely detect and eliminate bugs in their products before attackers learn about them. Two major platforms help vulnerability researchers and companies who want to test their services meet: HackerOne and Bugcrowd. They, in fact, aggregate all the programs of IT companies, and registered service participants can choose what they are interested in. Now both platforms bring together thousands of information security specialists from different countries. By the way, even government agencies use similar services. For example, the Pentagon chose HackerOne to launch its Hack the Pentagon program. Very good sums appear in the bug bounty contests. Last year, HackerOne published a report Hacker-Powered Security, from which it follows that in 2017 the average reward for the found bug was more than $ 1,900. Over the past 4 years, white hackers were paid more than $ 17 million for the 50 thousand errors found. Finding vulnerabilities is not just a game where you find what you like, chose a weapon tool, find a bug and won a prize. This is a whole procedure that has its own charter. Step to the left – and you can go to court. What is the matter? If the company does not have a bounty bug program, it is better not to tempt fate. For example, an 18-year-old hacker found himself in a difficult situation. He was arrested for finding vulnerabilities on the website of the Hungarian transport company Budapesti Közlekedési Központ (BKK). Using the “developer tools” in the browser, the researcher made a number of changes to the source code of the page and thus managed to trick the system, “lowering” the price of tickets: from $ 35 to 20 cents. The young hacker did not exploit the vulnerability and honestly informed the company about the bug. But instead of gratitude, they filed a statement with the police. The conclusion from this case is simple: you only have to participate in official bug bounty competitions, where all procedures are clearly regulated. Otherwise – wait for the call. The principle “I will quietly hack, I’ll just look out of curiosity, and then I will ask for money for my work” – is not working anymore. People doing this, even have their own name — Gray Hats. Curiously, you can have conflicts even with those companies that have their own bounty programs. It is worth remembering the case when security specialist Synack Wesley Weinberg found three vulnerabilities in the Instagram infrastructure, thanks to which he got access to almost all the confidential data of the application. And if for the first bug he received a prize of $ 2.5 thousand, then for the second and third he had to sweat. Facebook representatives told the researcher that he had violated the rules of the Bug Bounty program. In an official statement issued by representatives of the social network, it was emphasized that Weinberg had no right to extract user and system data. His actions were considered highly unethical. From the unpleasant consequences of the company, he was luckily saved by media attention. Conclusion: be more attentive to the list of vulnerabilities that fall under the bounty bug, follow the policy of responsible disclosure and do not try to access personal data. The numbers above confirm that now bug bounty has become a good addition to work or even the main source of income for testers. To successfully participate in such programs, you need to know the methods for finding and operating vulnerabilities, primarily in web applications, and to comply with ethical standards and the rules established by the company. In any case, getting trained and becoming a white hacker is much safer and more profitable than going into crime. The need for ethical hackers is constantly growing, and given the avalanche-like growth of new IT areas – the blockchain, big data, IoT – this need will only increase. This short essay is provided by cheapwritinghelp academic paper writing service with affordable prices and a great team of professional writers.